Arrows Sent Forth: Wondering what we've been up to this summer? Wondering what we've been up to this summer? This pretty much sums it up. And a perfectly appropriate post for the hottest day of the year. This photo is a part of You Capture at ishouldbefoldinglaundry.com. Go check out other great summer photos. This photo is a part of Wordless Wednesday at 5minutesformom.com. Head on over to see more great photos. Perfect summer photo. Looks like yall are staying cool, relatively. What is summer (when you have little ones) without a plastic pool!? Such a great expression you captured! Somebody's happy....not sure if it's the little one, or the mom with feet crossed and toes in the breeze. Fun photo. 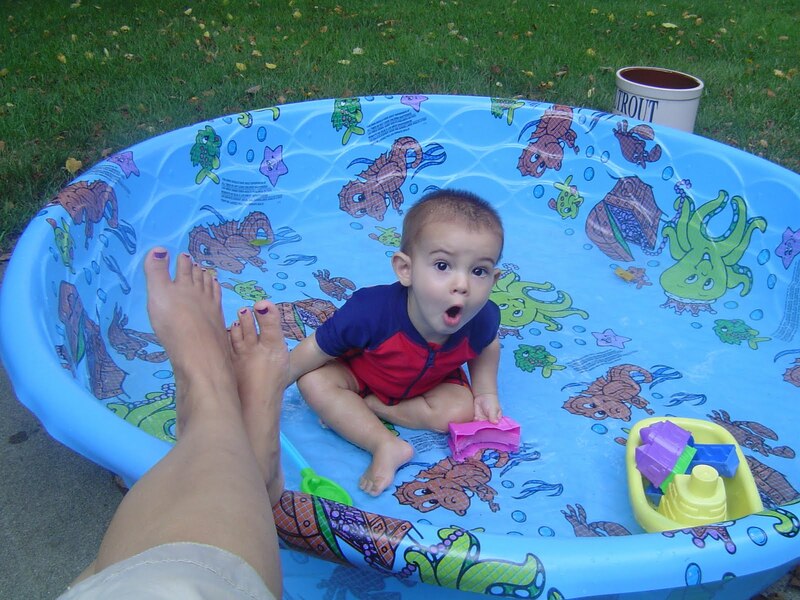 Looks like your little one is loving the pool. I'd be tempted to join him in this hot weather! He is cracking me up! I'm training for a half marathon in this heat so I understand your pain. That is such a great picture! I just love the expression on his face. Happy 7th Birthday, Big Arrow! Happy 4th Birthday, Little Arrow! There's more than corn in Indiana. Babies love live music too! The outing that started it all.